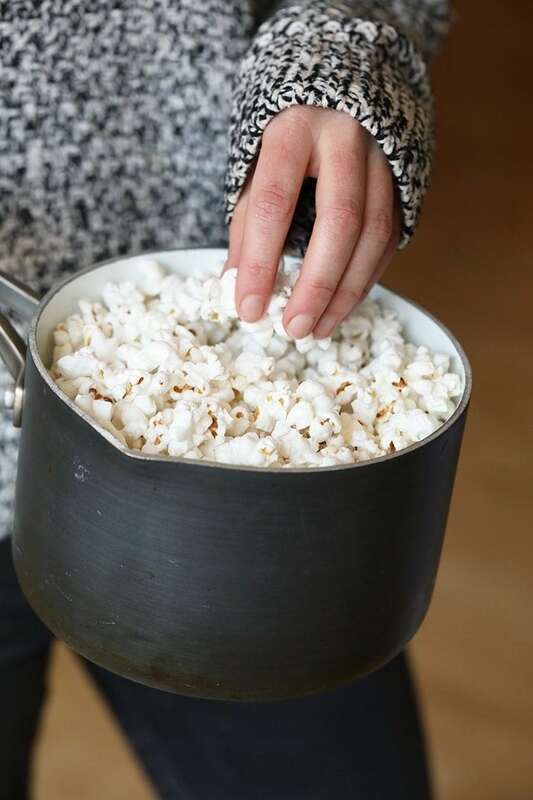 Make snack time easy and healthy tonight with our stovetop popcorn tutorial! Don’t worry, we even put together a “how to make popcorn on the stove” video for you to watch. So, let’s get popping! I have to say that stovetop popcorn can be a little bit intimidating if you’ve never made it on the stove before. Heck, I’ve been making it my whole life and I still get nervous that the popcorn is going to overflow while I’m making it or that the bottom of the pot is going to burn. 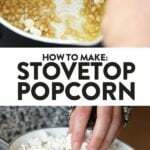 That’s why we thought we’d put together the ultimate homemade popcorn tutorial so that you can eat perfect stovetop popcorn every single time you make. There are a few different kinds of popcorn kernels out there. The most common ones are yellow and white kernels. Either works, so choose whatever your heart desires. We mentioned that you can use either olive oil or avocado oil. A little secret I have for you, sometimes I don’t use oil at all! It just depends. One reason why I like to use oil is that it gives the popcorn a little bit extra flavor and I’ve found that it pops more evenly. Lastly, you’ll need a medium to large pot with a lid. Make sure you don’t forget the lid…that part is essential! This might be the easiest tutorial you’ve ever read and bonus, it only takes 10 minutes! Begin by heating your saucepan over medium/high heat. Then, drizzle on oil, spreading it out as evenly as you can. Add a few kernels to the bottom of your pot and cover and shake them around every so often. The oil will begin to heat up. When those two kernels pop, you know you’re ready to add the rest of the kernels! Add the rest of kernels and salt and cover again. Shake the pot every soft often so that the kernels don’t burn on the bottom of the pot. You’ll notice after a few minutes that the kernels will begin to pop. YAY! Keep on shaking until the popping slows down to about 1 every 3 seconds. Then you know you’re pretty much out of kernels and your stovetop popcorn is ready! If you forgot to salt your popcorn beforehand, no worries! You can add whatever toppings your heart desires at this point too. There are many great benefits of popcorn. Homemade popcorn is a great way to pack in extra fiber, whole grains, and a little bit of protein, too! 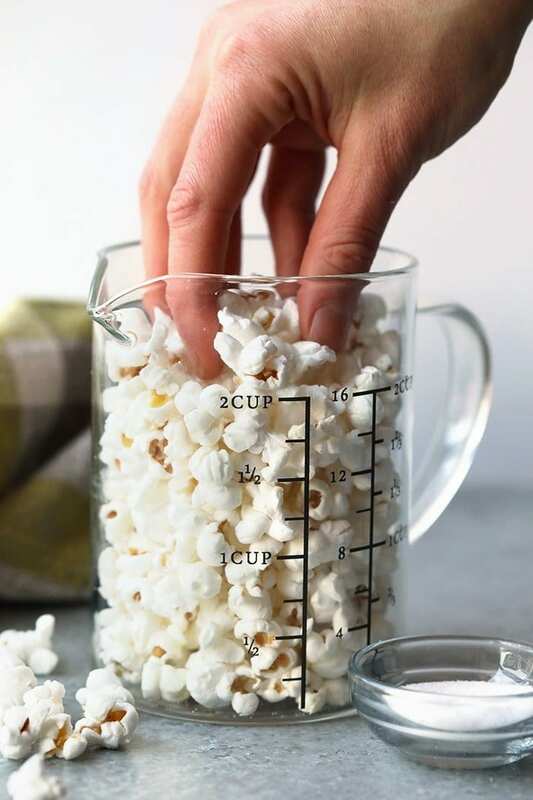 We love making stovetop popcorn at home instead of buying the prepackaged kind because we can control how much oil, salt, and sugar are used. Per 2 tablespoons of unpopped popcorn (a single serving) you get around 5 cups of popped popcorn. Is popcorn healthy? Popcorn is a great healthy snack for adults and kids. 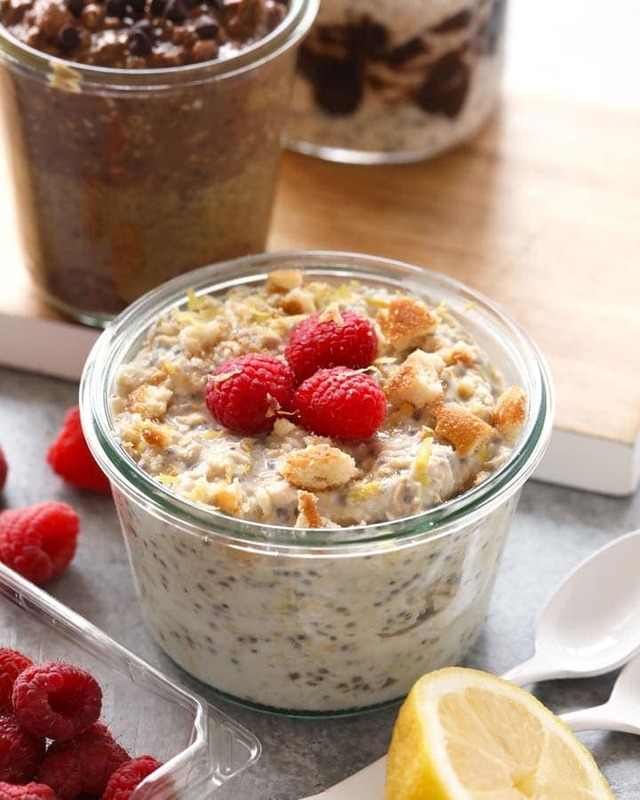 It is a 100% whole grain, low fat (if made at home), and high in fiber. 2 tablespoons of unpopped popcorn (a single serving) is: 110 calories 2g fat, 25g carbs, 5g fiber, 0g sugar, and 3g protein. How many carbs in popcorn? In one serving of popcorn (2 tablespoons unpopped), there are about 25 grams of garbs. 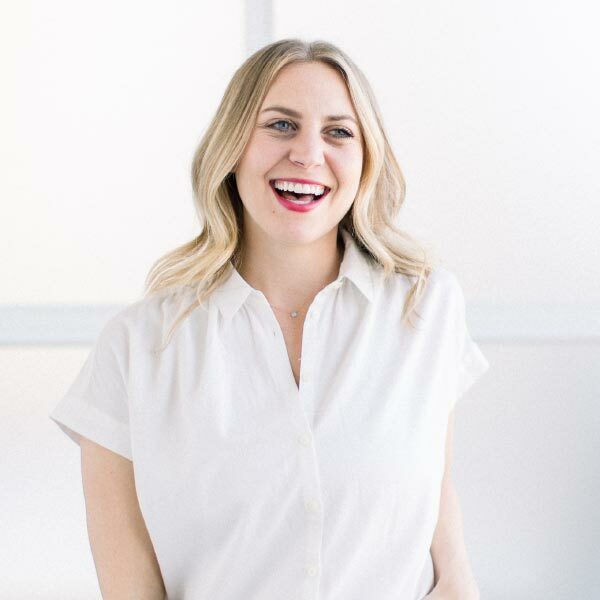 Is popcorn gluten free? Popcorn is gluten free. If you are a celiac or allergic, just make sure to buy a certified gluten free popcorn product so that there is no cross-contamination with other grains. How many calories in popcorn? 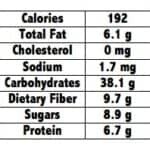 In one serving of popcorn (2 tablespoons unpopped), there are 110 calories. Do note that this does not count any oil or seasonings used! Is popcorn low carb? Since popcorn is technically a whole grain, I wouldn’t consider it low carb. Is popcorn paleo? Unfortunately, since popcorn is a grain and made from corn, it is not considered paleo. Benefits of popcorn? Homemade popcorn has fiber, protein, and is a whole grain. Plus, per one serving of popcorn, you get 5 cups of popped popcorn, which makes for an enjoyable snack for everyone! Place 1/2 tablespoon of oil on the bottom of a medium to large pot. Turn heat to medium/high and place two unpopped popcorn kernels in the oil. Cover and let sit, shaking periodically. Once the two popcorn kernels have popped, you can add the rest of the unpopped popcorn. Sprinkle with a pinch of salt, cover, and shake kernels so that they are fully coated in oil. Continue to periodically shake kernels (with the top on) about every 20 seconds so that the kernels don’t burn. Soon enough, they will begin to pop! Continue shaking pot as the popcorn pops. Once there are about 2 or 3 seconds in between pops, you know the popcorn is done popping and it’s time to eat! Option to use any kind of oil your heart desires. We recommend avocado oil, ghee, or butter.